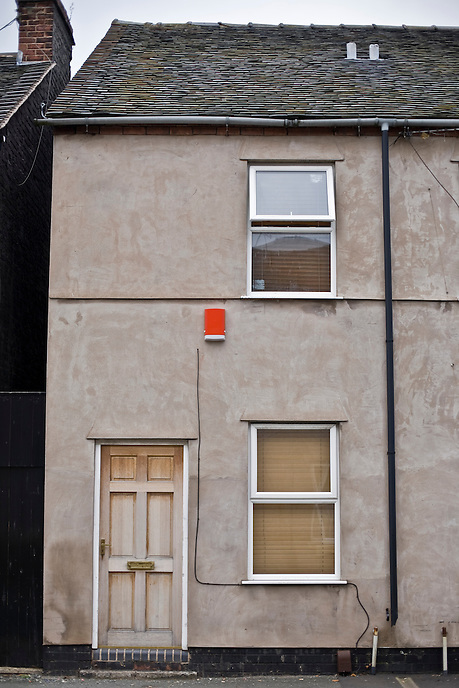 A typical two-up-two-down terraced house near Stoke-on-Trent city centre. The dramatic demise of once world-renowned industries has left a scarred landscape and relatively high levels of unemployment throughout Staffordshire. Rows of terraced houses are a common sight across the North of England, with many initially built by factory owners to house their workers during the industrial revolution. Today, they are often seen as obstacles to property developers seeking to create new housing markets.